The Forum Pro 800 Dasherboard System is designed with tradition in mind. 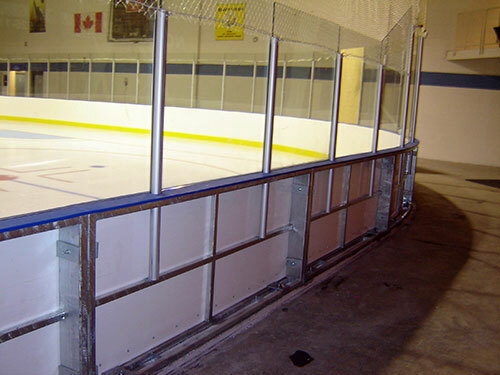 This 6″ wide frame (hot-dipped galvanized steel or aluminum) can be used for any application ranging from the large multi-purpose venue to the outdoor inline rink. Whether it is a permanent or portable system, new facility or renovation, the Forum Pro 800 is safe, durable and easy to maintain.